We sold this to a family new in 2002, and they have traded it back in for the exact same style in a vertical. The custom wood inlays on the music desk and above the legs are breathtaking. Schimmel is one of the finest German, handmade pianos. Tonally rich and bright with bell-like tone in the treble, this Schimmel has been upgraded to the latest iPad player system! Check back often as this can change weekly! 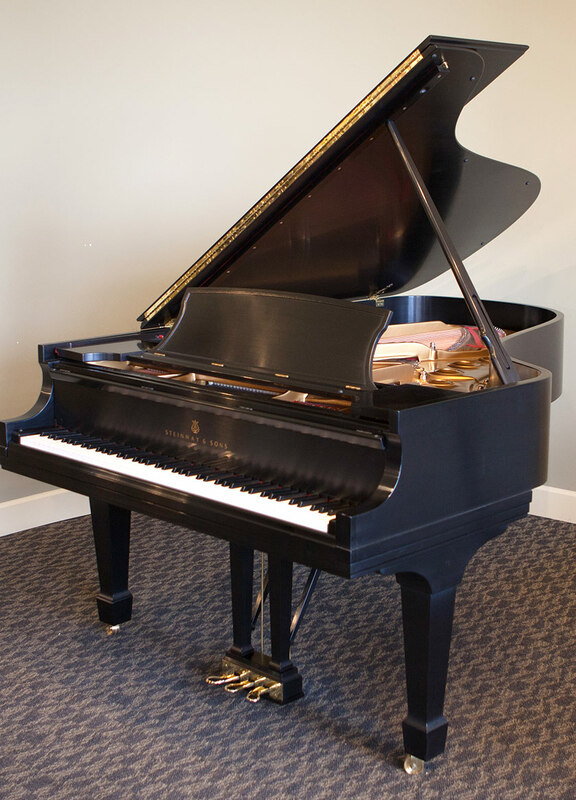 Model/Size Serial# 46548 Date 2002 Finish Polish ebony Price $34,000 This piano was sold new by us and is now being offered because of an estate liquidation. If you are not familiar with Bösendorfer, it is considered by many to be one of the finest pianos in the world and is certainly one of the most expensive; The “Rolls Royce of pianos”. These are handmade in Vienna Austria using only the finest materials. This Bösendorfer would be over $90,000 new. Model/Size M 5’10” Serial# KJOFG0018 Date ? Finish Satin cherry Price $9,900 This is their platinum performance series in a decorative brown cherry art case. The detail is amazing and will fit your style if your looking for an antique but with modern touch and tone. The date of manufacture is unclear but it would be from roughly the early 2000’s. Model/Size M 5’7” Serial# 348946 Date 2002 Finish Satin Cherry “Intarsia” Price call for price We sold this to a family new in 2002, and they have traded it back in for the exact same style in a vertical. The custom wood inlays on the music desk and above the legs are breathtaking. If you’re not familiar with Schimmel, they are one of the finest German, handmade pianos. This piano is tonally rich and bright with bell-like tone in the treble. This Schimmel also has a Piano-disc player piano system installed. Ask us about upgrading the system to the newest Ipad operated wireless system. 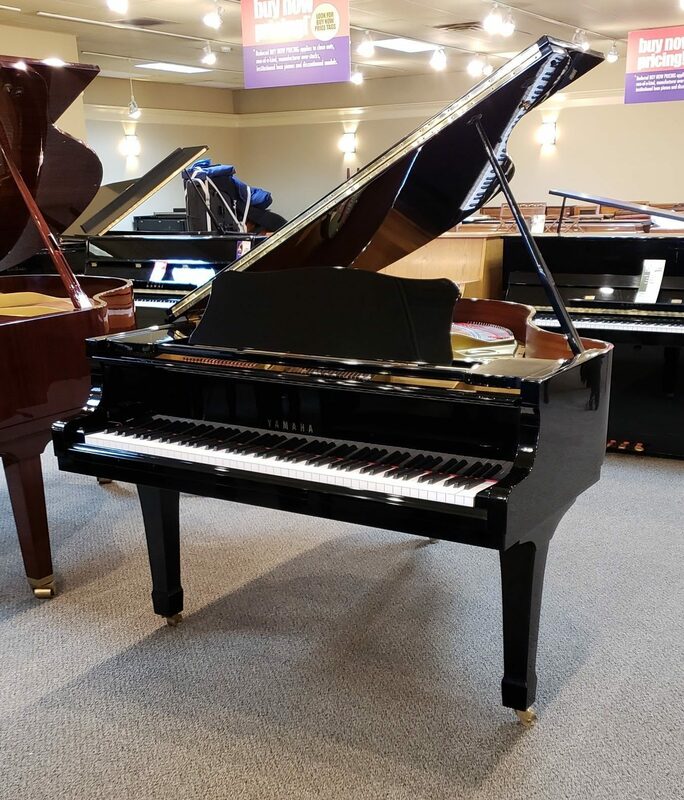 Model/Size L 5’10” Serial# 516846 Date 1990 Finish Satin ebony Price $26,000 This Steinway was traded-in for a Steinway vertical by a woman who needed to down-size for her new living arrangements. It has a clear, rich tone. 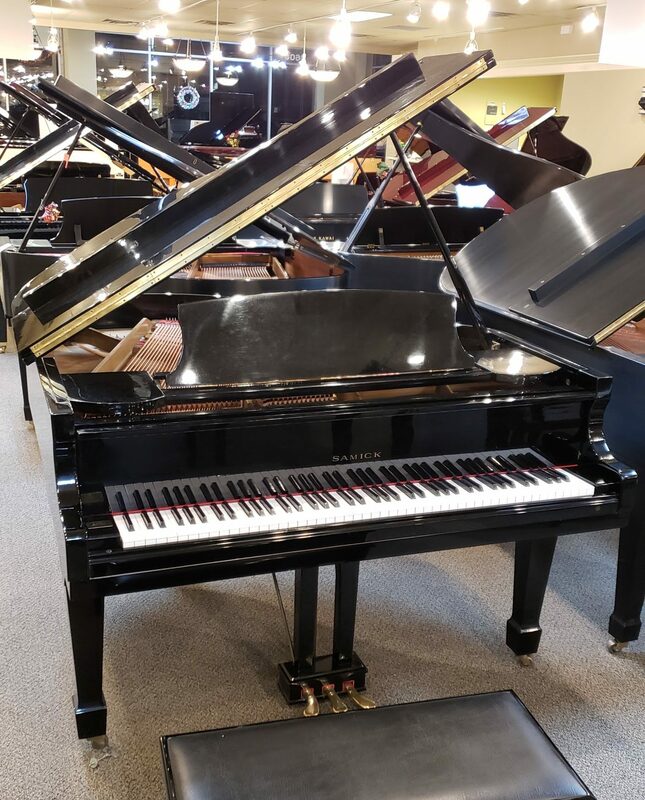 Model/Size B 6’11” Serial# 537597 Date 1996 Finish Satin ebony Price call for price This Steinway was purchased new by Grand Valley State University in 1996. 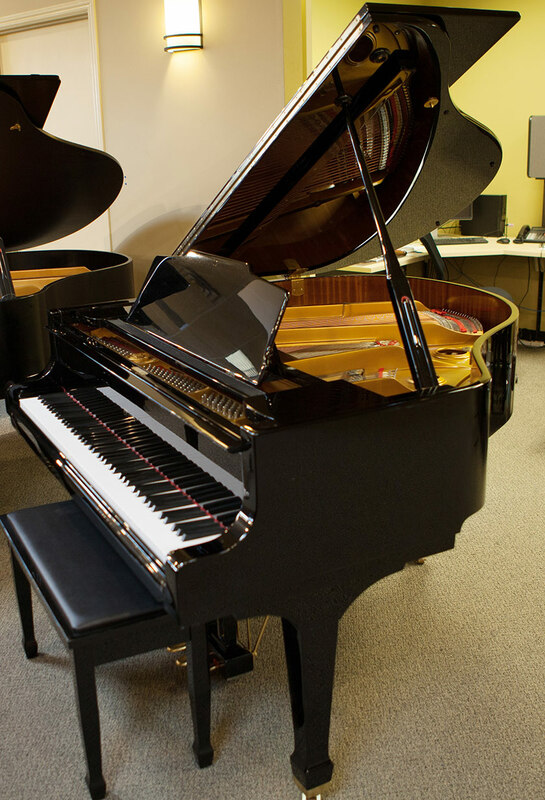 It was in a piano professor’s studio until last year when they traded it in for a brand new Steinway B. We have done a complete restoration. Perfect for a new life in your home or institution. Model/Size 5’3” Serial# 517974 Date 1993 Finish Polish mahogany Price $8995 Sold new by us. Beautiful wood grain! It has that Petrof warm and rich tone with a slightly thicker feeling touch. 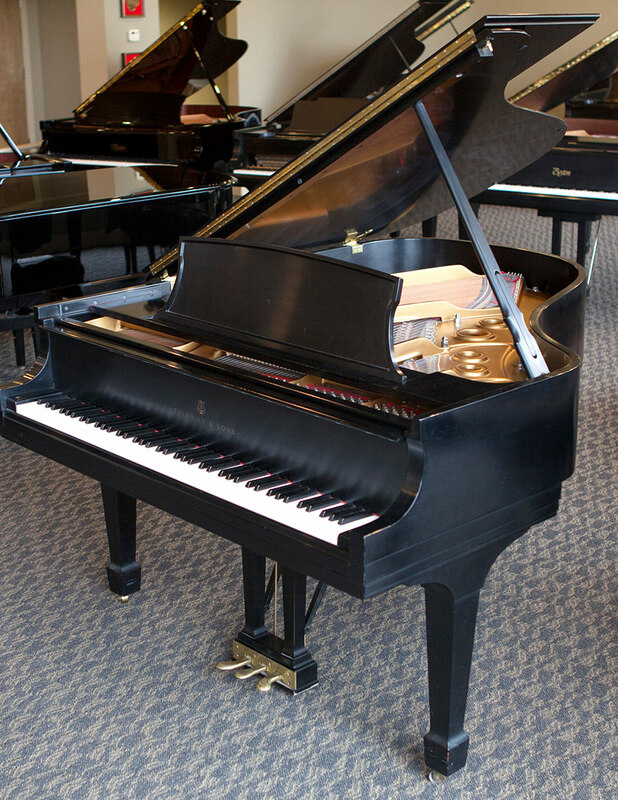 Model/Size EGP-161 5’2” Serial# 102727 Date 2005 Finish Polish ebony Price $9,995 This is Steinways student model piano. 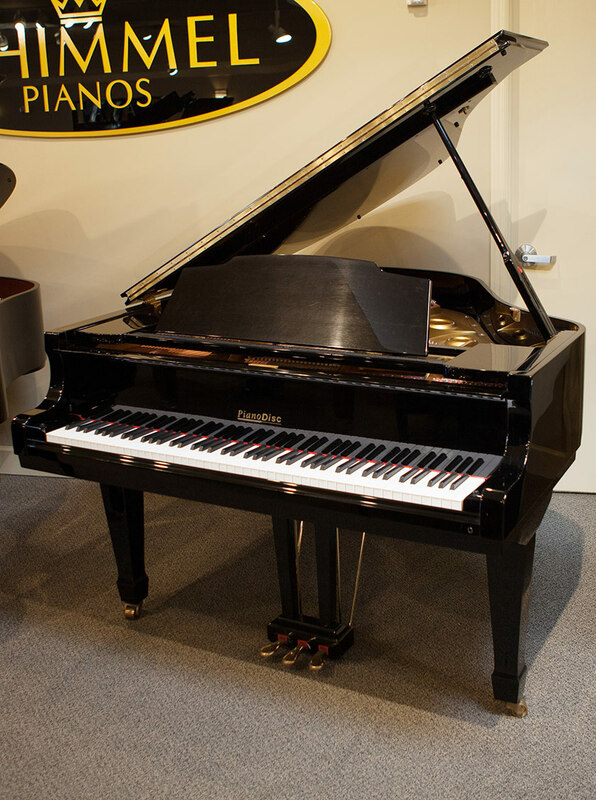 Fully designed by Steinway & Sons, this piano offers touch and tone much better than others in its price range. This instrument is in beautiful condition. 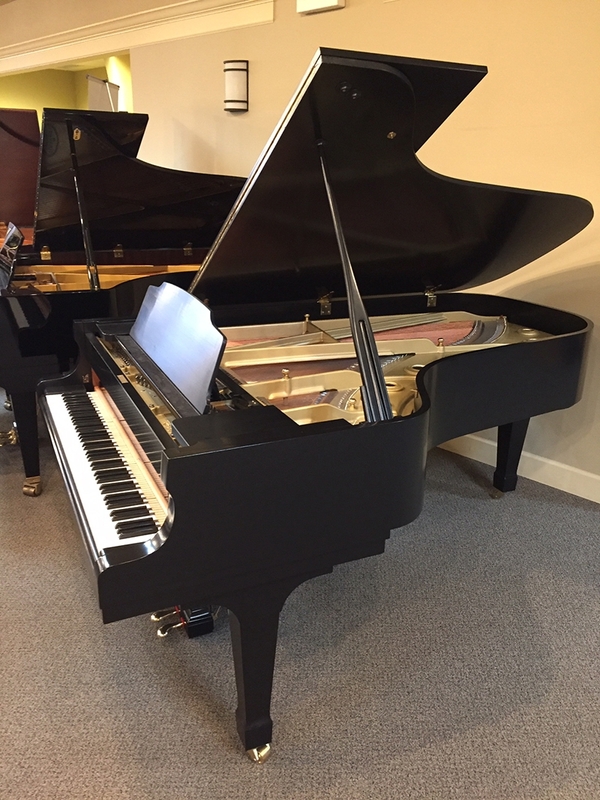 Model/Size 6’ Serial# 831884 Date unknown Finish Satin ebony Price $6,995 Overall nice condition on this 6’ grand. Most likely Chinese made, we took this in on trade from a piano teacher who traded-up for a nice Kawai grand. Yamaha C2, 5'7" grand piano in ebony polish. This Yamaha is in very good condition. It plays and sounds like a Yamaha should. $10995. This Yamaha grand was taken in trade for a new Boston grand. We have restrung it and touched-up the finish. This is a performance size piano with massive sound! Along with the 7' Kawai right next to it, this has an exceptional set of original ivory keys. You won't find two better examples of ivory anywhere. take your pick, Kawai or Yamaha. $17,995. Kawai Grand Piano Model/Size KG-6 7’ Serial# 1076947 Date 1979 Finish Satin ebony Price $16,900 We are just finishing the restoration on this big beautiful Kawai. We have refinished and restrung with a new pinblock, regulated and voiced the piano. This Kawai has the best set of original ivories that I have ever seen! The ivories are made of one piece instead of the traditional two-piece design and the ivory is cut very thick and they are even still quite white. They feel fantastic! Being 7’, this piano has a huge sound! This would be perfect for the performer at home or for a church sanctuary. 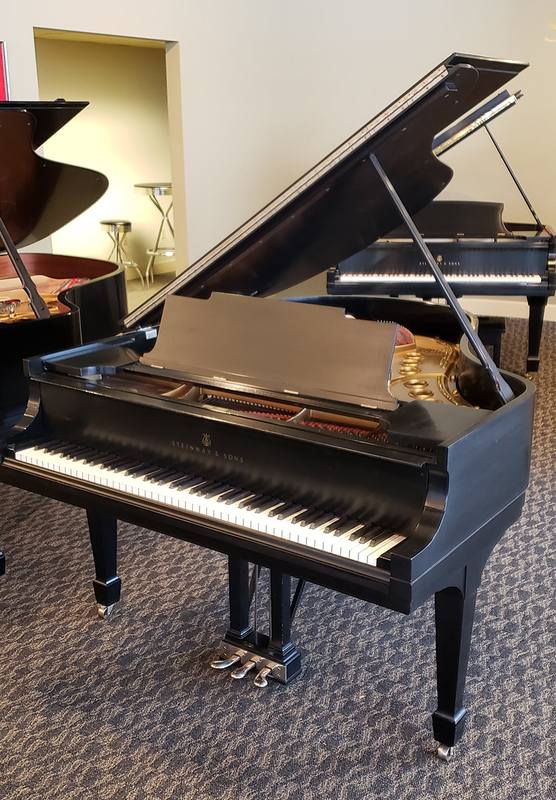 Steinway Model M 5’7” Serial# 216106 • Date 1921 • Finish Satin Ebony Price $19,900 This Steinway was refinished and restrung sometime in the 1980’s. 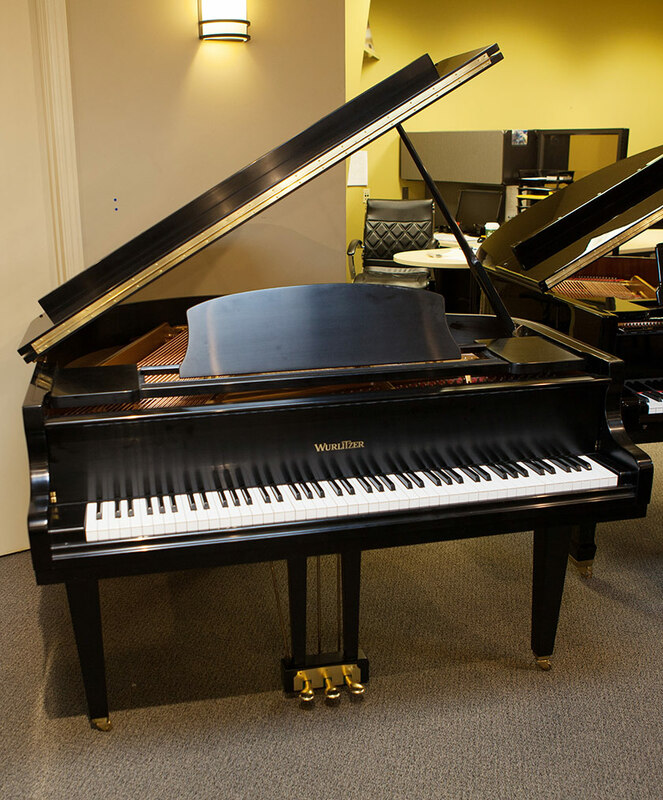 This is a rare opportunity to acquire a vintage Steinway at a bargain price. $5595. This little Samick grand will make a great starter piano for your family. 5'1" baby grand We took this in trade from a gentleman who bought his dream Steinway from us! This Kawai is in very nice condition. $8995. 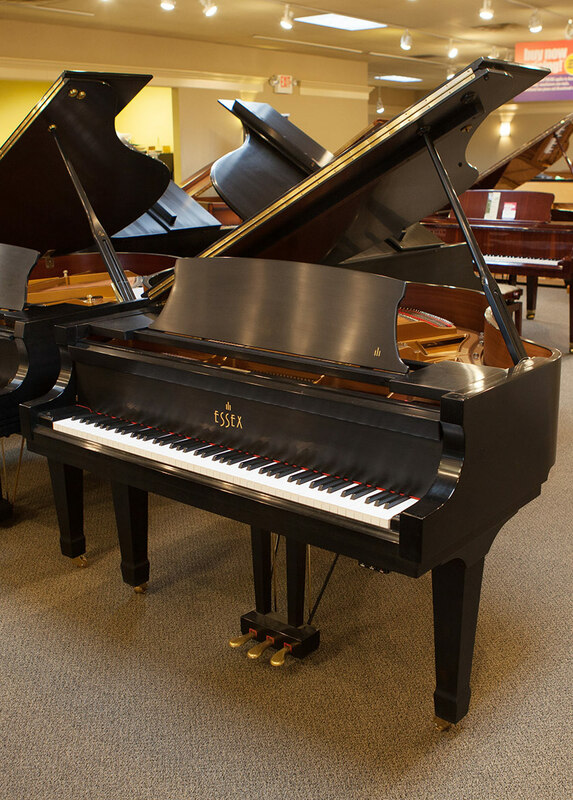 This ebony polish baby grand will fit into your space(5'2"). It's perfect for your young learners and the player function makes it fun for the whole family. $7995.